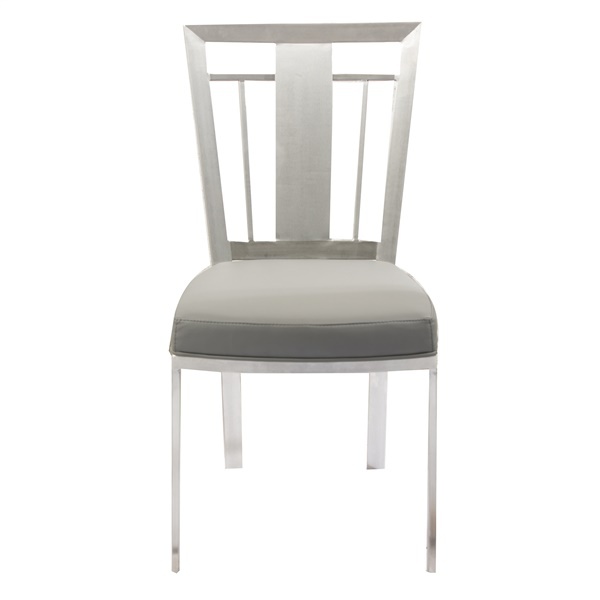 Dinner time has never been so elegant with the Cleo Contemporary Dining Chair from Armen Living. It’s classically designed, durable stainless steel frame is the perfect partner to the generously padded gray leatherette-upholstered seat that will keep your family or guests comfortable for hours. An open back with window pane accents make the Cleo Contemporary Dining Chair the perfect addition to your modern and contemporary dining space. Is this for one chair or a set of 2? The pricing shown is per chair. According to the manufacturer The Cleo Dining Chair measures 18 inches wide by 22 inches deep.